Lawrence Wright is a master propagandist. His book on Scientology masquerades as fact but in reality is pure fiction. As detailed below, the book is so rife with falsehoods, so replete with factual errors, and so hopelessly misinformed on the religion that it constitutes mind-boggling propaganda in the form of psychobabble. The book is uniformly derogatory and a compendium of falsehoods. Only discredited sources bent on lies and filled with prejudice are quoted. But even these discredited sources would not go as far as Wright wanted. Many of the most outrageous and sensationalistic statements in the book are made without any attribution whatsoever—in other words, Wright invented them out of whole cloth to further his fractured narrative. Wright repeats the most outrageous and salacious rumors of the past 60 years, taken from other books, tabloid media and the Internet—no matter how many times they have been disproven and discredited. Wright sensationalizes these falsehoods by embellishing them and altering and collapsing time so that an incident rumored to have occurred 60, 50 or 30 years ago seems current. Wright’s only criteria: whether the misinformation furthers his hidden agenda and is sensationalistic enough to alarm the misinformed and those new to the subject. Although Wright states at the outset that the purpose of the book is to explore the subject of Scientology to objectively determine “what makes Scientology so popular to so many,” that statement represents nothing but the false premise of a propagandist. Rather than examine and study the religion as he claims, Wright virtually ignores the subject except when he can distort it to present Scientology in a false light. Wright’s ignorance on the subject of the Scientology religion is so acute, it is astonishing. Case in point: on page 13 of the book, Wright attempts to describe how the E-Meter, a religious artifact used by a minister in the religious practice of auditing, works. But Wright gets the most fundamental concepts of auditing and the E-Meter wrong. Wright states: “If the needle on the meter moves to the right, resistance is rising; to the left, it is falling.” Yet, in reality it is the exact opposite. While this otherwise would be a minor matter, it shines a spotlight on the fact that Wright lied when he said he decided to write about Scientology to explore the subject, tellingly exposing that Wright did not spend a nanosecond attempting to understand the religion. In reality, Wright intended from the outset to unfairly attack the religion, its Founder and its religious leader and follow his toxic agenda in defiance of human rights principles prohibiting incitement to religious hatred and discrimination, and fundamental media codes requiring objectivity, neutrality and a search for truth. From the beginning of Wright’s work on the New Yorker article on Scientology that he later morphed into his book, the Church made its position clear to Wright and his editor: It would provide full and open access to them for a profile on the Church or a Scientologist. But there was no interest by the Church if The New Yorker wanted to take sides with someone who left and openly disparaged the Church, misrepresenting its beliefs and policies. This request was ignored. What followed was a 10-month odyssey that resulted in a 26-page, 24,605-word rehash of tired and disproven allegations. 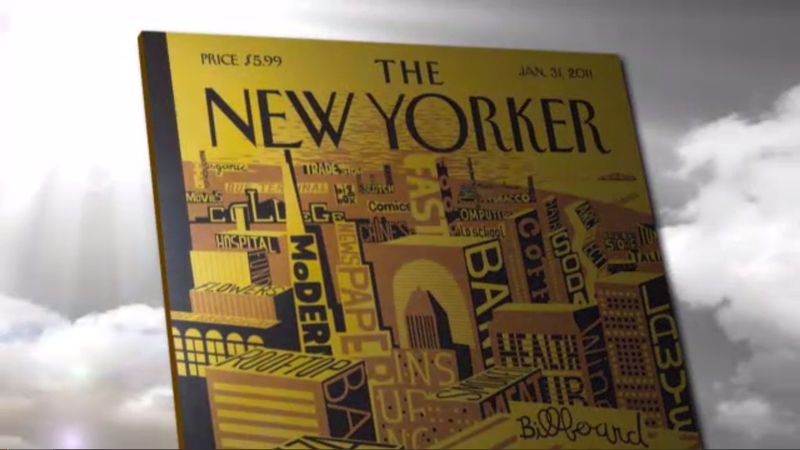 Freedom Magazine published a special report on Wright’s New Yorker article. Accompanying that special report are videos. These serve to expose the rampant falsehoods, deception and underhanded tactics exercised by Wright in his writing of the piece. However, Wright made no attempt to rectify any of the obvious errors of both omission and commission in the book that followed in January 2013. Like his article, Wright’s book is an outrageous piece of propaganda. Many of Wright’s most egregious falsehoods constitute hearsay and gossip lifted (in many instances verbatim) from the Internet. The book relies on both inherently unreliable (Wikipedia and Astro.com) and cretinous (Rotten.com) websites. Other falsehoods are lifted and then regurgitated from discredited self-published “books” by apostates with an ax to grind. Further false statements put forward by Wright are based on interviews with a few disaffected former Church staff members thoroughly discredited and exposed as engaging in lies in previous misstatements attacking their former faith. Many of Wright’s most egregious falsehoods constitute hearsay and gossip lifted (in many instances verbatim) from the Internet. The book relies on both inherently unreliable and cretinous websites. One of the individuals he claims to have “interviewed” for his book had never spoken or corresponded with Wright—in fact he had never even been contacted by Wright. A claim by a former Church member that she had been “held against her will” on a ship for some 12 years was easily disproven by photos and voluminous evidence that she left the ship hundreds of times, got married in the Bahamas, lounged on Caribbean beaches and made trips to Europe. Wright failed to vet a preposterous anecdote about a bank robbery that never occurred. Wright’s source spun a tale about a Scientologist bank teller, but no records or accounts exist that such a robbery ever happened. The source turns out to be a suspended and sanctioned lawyer, once declared by a court to be a vexatious litigant. His client has recanted past stories spun to the media about equally preposterous claims, such as that family members died in the Jonestown tragedy, which he later admitted he fabricated. And Wright could have and did not check FBI records. Because they have jurisdiction over all bank robberies and keep extensive records of each and every one, he would have discovered the incident never happened and that his anecdote was a myth. Wright relied on a source who has had no contact with Scientology since 1959 and who publicly retracted his claims under oath in May and July 1987, including admitting that his allegations were flights of fantasy and the product of his own imagination. The Church of Scientology has published a compendium of the book’s most distorted falsehoods. One of the most chilling, immoral and insidious aspects of the book is Wright’s deplorable tactic of using events concerning suicide and homicide by the apocalyptic groups Solar Temple, Heaven’s Gate and Aum Shinrikyo as a propaganda platform from which to launch “scare stories” about the possible threat that Scientology represents for other people in other places. This is the classic language of ignorance fused with extreme religious bias. The late Bryan Wilson, Emeritus Fellow, University of Oxford, and the foremost academic authority on NRMs, identified this lumping together of diverse groups by the media as the epitome of religious intolerance. Scholars in the field unanimously emphasize the diversity of these new movements, most of which have in common only the contemporaneity of their emergence. Yet, what is apparent is a tendency, evident in the media… for all NRMs to be lumped together as if they conformed to one particular stereotype. That this disposition is in itself inimical to the fair treatment of new religions must be apparent. This knee-jerk categorization of Scientology with apocalyptic groups by a strong note of warning against the risk of similar destructive events spreading to other countries, is not only prejudiced, it also feeds directly into public fear and ignorance on the subject. But worst of all is Wright’s referring to Scientology as spreading like a “virus” which may “turn lethal.” This is shocking language, amounting to hate speech and evidencing malice. There is of course only one thing to do against a lethal virus: eradicate it. This gratuitous “warning” is calculated to invoke fear, hatred and bigotry reminiscent of the vile Nazi propaganda of Goebbels and Streicher. Wright’s referring to Scientology as spreading like a “virus” which may “turn lethal” … is shocking language, amounting to hate speech and evidencing malice. This is the language of pure prejudice. The language and methodology of prejudice uses pejorative and provocative terms to disparage and to strike fear in the public as a substitute for reflective analysis. This represents the height of propaganda. This bias is clearly reflected in Wright’s book with its vicious attacks on his distorted rendition of Scientology religious beliefs. A Methodist struggles in a fog, not really knowing what is to be believed or disbelieved but learning in a subliminal way what is to be avoided. His 1993 book Saints and Sinners was a far cry from Wright’s ostensible “search for faith” and understanding of religious beliefs in America. As noted by Kirkus Reviews, “the six figures he profiles are patently chosen for journalistic sexiness rather than religious profundity.” He chose to write about two disgraced preachers (Walker Railey and Jimmy Swaggart), an atheist (Madalyn Murray O’Hair) and Satanist Anton LaVey. Finally, almost as an afterthought, he included a Catholic priest and a Baptist minister. Compare this attitude to a reporter’s obligations to seek out the truth and report it and to remain objective. The inescapable conclusion is that Lawrence Wright may quite possibly be the last author who should be reporting on matters involving religion. At www.freedommag.org/going-clear are the results of extensive research by the Church to document the truth Wright and Gibney ignored, both as to the story they told and the people they relied on. This exposé contains 25 videos and 16 articles on Gibney and his sources, all with supporting documentation, as well as 30 letters the Church sent to Gibney and HBO, documenting the fraud Wright and Gibney perpetrated on their viewing public. The site also shows the truth about the Church of Scientology that Wright and Gibney chose to ignore. Wright’s work is also regularly challenged by experts and even his own sources. Wright’s best-known book, The Looming Tower: Al-Qaeda and the Road to 9/11, published in 2006, was criticized not only by The New York Times but also by experts who discovered major flaws in the book. In March 2010, the Andean Information Network pointed out numerous inaccuracies in Wright’s story “Lithium Dream.” The article notes that some “inaccuracies stem from partial truths or unnecessary hyperbole” and that by relying too heavily on “experts,” Wright’s story reflects bias. The purpose of propaganda is to manipulate perceptions by spreading misinformation that instills fear and hatred to injure a person or group. Wright’s book and the film adaptation of that work constitute classic propaganda designed to incite discrimination and hatred against a peaceful religious group. Wright’s writings reveal that his religious bigotry runs deep, pretending to present facts while publishing one-sided anti-religious views. His published book on Scientology, a compendium of falsehoods, was a regurgitation of past and fictitious accounts, such as one person “interviewed” who had never spoken with or even been contacted by Wright. Wright’s work has been repeatedly challenged by experts who have exposed contradictions, distortions and fictitious dialog he used to forward his agenda.